Sitting at a desk the entire day may lead to various health conditions. But thankfully, people are wising up. The standing desk is an innovative solution that allows us to keep our bodily health in mind while still getting plenty of work done. This type of adjustable desk allows you to switch between sitting and standing instead of sitting for hours and hours. Standing desks are based on the principle of ergonomics and promote the idea of working with balanced well-being in mind. Using a standing desk can help you burn more calories, use your energy more efficiently, and prevent an increased risk of disease. Ergonomics is the science of optimizing and designing products for human use. Proportions, weight, and height are all considered in this study, along with temperature, sight, and hearing. Computers, chairs, and desks are popular products for ergonomic design, as these products are often used for hours at a time. Proper design can prevent injury, fatigue, and stress. Ergonomics and Motivation: When a workspace is not designed with ergonomics in mind, it can lead to unmotivated and unsatisfied workers. Spaces that don’t make workers comfortable during the day don’t encourage creativity and innovative thinking. Workers often become stressed from poor posture, unhealthy habits, and psychological fatigue. Higher Productivity: Healthier working conditions benefit everyone, not only employees. When workers are healthier, it saves the company money in compensation costs. Not to mention that it’s much easier to get work done when you’re feeling comfortable. A standing desk is one way to improve this factor. Higher productivity means that workers will likely report for work on time and have fewer absences. Mental Well-being: A workplace designed with ergonomics in mind will lead to happier workers. Even if it’s only a subconscious association, sitting at a desk that causes you pain will make work feel like a tiresome chore. It’s very difficult to feel motivated to excel at your workplace when you are uncomfortable. Mutual Respect: When a company commits to creating a more productive and safer environment, it’s a sign of respect for the workers. This creates an awareness and consciousness of safety. And since the employee’s health is regarded with importance, the employee will be likelier to respect the company in return. Disease Prevention: With the prevalence of computers in the workplace, people spend hours of their day, each day, hunching over. This habit can lead to serious issues if it’s not corrected. Ergonomics attempts to correct the conditions that cause fatigue and promote higher productivity. One primary goal of ergonomics is to remove factors that cause pain and injury in the workplace, and the risk of employees developing musculoskeletal diseases (MSDs). Fortunately, several computer and furniture manufacturers have discovered a way to create desks not only for sitting but for standing positions, as well. The issue with modern people is that many of us are sitting for longer periods of time. Several of us go to work and sit at a desk for hours without even taking a break to stand or at least do a bit of stretching. And it doesn’t stop there. When we go home at the end of the workday, many of us relax by sitting on the couch or at the desk browsing online or playing games. Then, we go to bed to sleep and repeat this cycle every day. We spend so little time standing and it’s becoming a big issue. Sitting has definitely begun taking a toll on society. Doctors and the media have even begun utilizing the term “sitting disease” to describe individuals who sit too often and don’t stand or move enough. How does the Standing Desk Make the Workplace Ergonomic? Using a standing desk will make the user more efficient and productive because it increases blood circulation in the veins and the flow of oxygen throughout the body. With all the verified benefits of standing, it’s crucial to stand up more. An easy way for office workers to include more standing in their everyday life is to use a standing desk. As healthy as standing can be compared with sitting, it’s all about how often you do it. On the topic of standing at work, the key is variety, as standing for long periods is also unhealthy. Standing is natural and doesn’t come with health hazards on its own. But standing all day, every day, at work can lead to pain, stiffness, muscle pain, swelling in the legs, and sore feet. The solution is a balance between standing up and sitting down. Why else should you switch between standing and sitting throughout the day? How your work area is arranged, along with the tasks you perform while standing, impact your body. The arrangement of your monitors, controls, keys, and tools will limit your mobility while standing. Because of this, you don’t have as many body positions to pick from, and the ones you can choose are rigid. In this posture, it’s harder to alternate the muscles you use, and health problems can result from a lack of flexibility. Holding your body upright over time requires some serious muscular effort, reducing the flow of blood to your loaded muscles. Not only does this cause fatigue and pain your legs and feet, but also in your neck and back. Standing for too long, day after day can cause your veins to become inflamed. Eventually, this inflammation progresses to cause painful, chronic varicose veins. Prolonged and excessive standing may also cause locked or immobilized joints in your feet, knees, hips, and spine. This can cause temporary immobilization and even lead to degenerative damage and rheumatic diseases in your ligaments and tendons. An ergonomic standing desk keyboard tray should let the user type with their wrists slouching down. Cocked-wrist positions are usually the unhealthiest and may sometimes result in heightened fatigue and other related issues. This is why using the most appropriate posture is necessary for efficiency and a pain-free experience when using a standing desk. Keep Your Legs Straight: When standing, your legs should always be straight. Knees should not be hyperextended and should be in line with the other. If the knees are extended too much, then there is a huge strain on the back of the knees. Keep Your Feet Flat: Your feet should be flat on the floor and able to bear weight evenly. To distribute the load evenly, your weight must not be concentrated solely on one foot. Healthy Sitting: Your sitting posture should also be in good positioning. The shoulders should be in the same line as the pelvis and kept loose, instead of flexed. The chest will be pushed slightly forward and the stomach should be tucked in slightly. The neck and head must be relaxed and at eye level with the monitor. This is because low monitors can lead to hunching, pain, and discomfort. If you spend significant time sitting during the day, make sure you invest in a comfortable, ergonomic chair. Maintain Natural Arm Position: The desk height should be adjusted so that your arms hang naturally with a 90-degree bend in your elbows. Be sure to support your wrists and consider using the proper mouse if you spend a lot of time on the computer. When making a purchase, it’s important to know how a standing desk works. These desks are designed to make the user feel comfortable while standing up and have enough rest time sitting down. 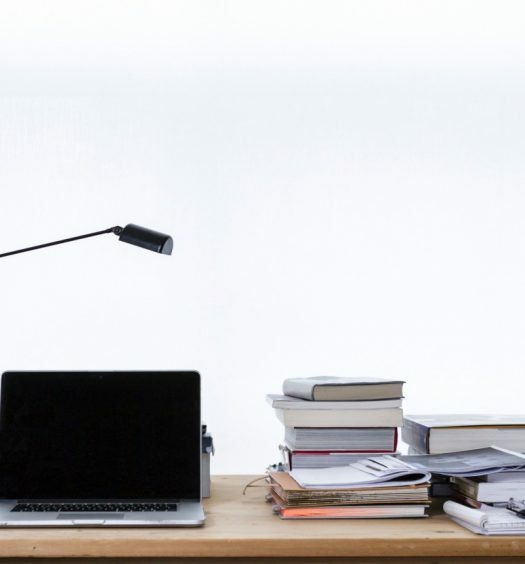 To make the proper purchase, the user must understand how a standing desk works. Since the standing desk is used to promote an ergonomic workspace, buying one will not be as simple as buying an ordinary table. Everyone is different, and there are many different types of standing desks out there. How are you to know which is best for you? Let’s look at some of the different types available, so you can make an informed decision. The cheapest and most popular standing desk option is the crank-adjustable work table. These desks have knobs beneath the table that you adjust to lower or lift it. The one-time adjustable table is called manually adjustable but is really a fixed high table mounted on a base. A standing desk converter like the ones from Halter or Varidesk allow you to convert your existing desk to a standing desk. Many include keyboard trays to allow for better ergonomics while standing. A standing desk converter is one way to try out standing while working without the investment of replacing the desk you may already own. 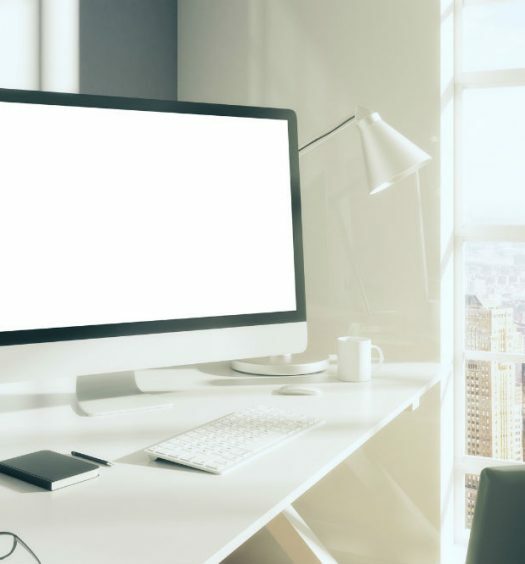 f you need something easy to move from place to place, a portable standing desk is an excellent option for workers with multiple offices or numerous locations. This desk simply elevates your monitor to make standing more comfortable and ergonomic. Product versatility and adjustability are the fundamental aspects of an effective portable standing desk. There is a stand-only, fixed desk option that can be mounted on a wall or fastened to exposed pipes. These are desks that cannot be moved or adjusted and the height is permanent. These are low cost and can easily be installed at your home or office. The table remains at one height and will only fit one user’s height and body size. There will be no room to adjust and there will be no adjustment button to move the desk up and down. Another desk must be placed near the stand-only desk because the user will have to transfer from the tall desk to the shorter desk frequently. And of course, if you choose this option, don’t forget to split up your time spent sitting and standing. The innovators of ergonomic desk choices took this concept even further by building the treadmill table. This is a product that, as the name suggests, has a fixed table on top of a treadmill. The height of the table is adjustable but the computer monitor will be at your level of vision. Work can be done while you walk at two MPH, allowing you to read emails and respond to them while on the treadmill. You can potentially burn as many as 1,000 calories per day with one of these desks. The downside of treadmill desks is that they are not good for writing, drafting or doing graphic design. The desk is good for a variety of devices but not good for tasks involving pen and paper. So make sure that this table type is suitable for your career and daily work tasks before you buy one. It just wouldn’t be convenient to lug a full-size standing desk with you to different locations each day. A standing desk that moves with you is wonderful for people who are always working somewhere different. For full-time mobile workers, standing more often is made easier by using a standing laptop desk. Several models can even support laptops and desktops as well. They are available in a good range of designs to suit different preferences and needs. If you wish to type directly on your laptop, search for a plain standing laptop desk that raises the laptop and has a panel to adjust the screen angle. 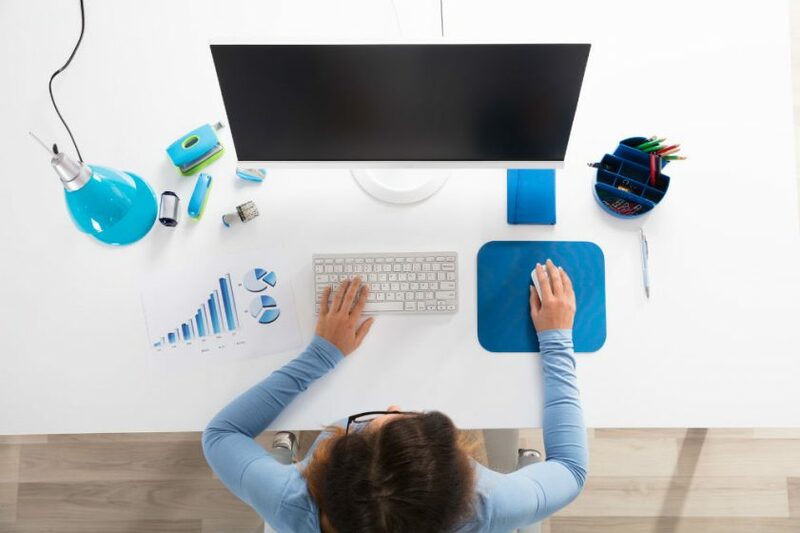 If you want to use a laptop with a separate keyboard and mouse pad, choose a standing desk that can both elevate the laptop to eye level and offer an extra secure platform for the laptop and mouse. Utilizing a separate keyboard is an excellent option for laptop users since laptop keyboards are rather small and encourage an unnatural inward shoulder rotation. When shopping for one, remember to always take note of how high the standing desk should be for your height. The standing desk is a great way to be fit and productive. While you are using a standing desk, it’s easier to shed excess fat by just standing up or taking frequent walks around the office. Due to this advanced technology, computer workers can now opt for standing, sitting or a mix of both when working.